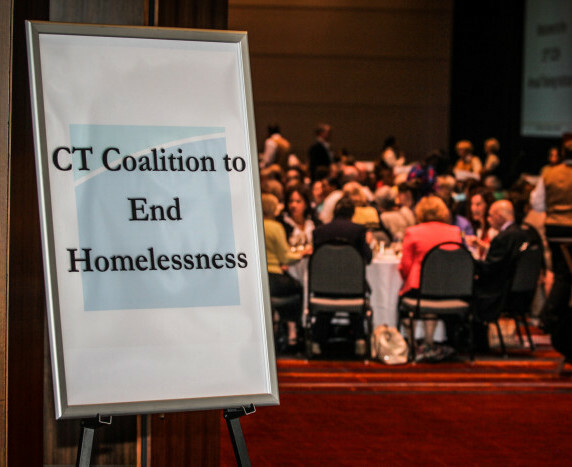 Hartford- The Connecticut Coalition to End Homelessness (CCEH) 15th Annual Training Institute takes place May 18, 2017 from 7:45 AM – 4:30 PM at the Connecticut Convention Center. The event convenes nearly 400 leaders and practitioners from the field of homelessness, colleagues from government, and philanthropy from across the state. Governor Dannel P. Malloy, a champion of efforts to end homelessness, will speak to kick off the event’s lunch. The conference will focus on building off of Connecticut’s success in ending veteran homelessness (one of the first two states federally certified for this achievement) and driving down chronic homelessness. Due to coordinated efforts across the state, Connecticut has seen four straight years of declining homelessness. The state’s next goals are to end homelessness among families and youth. Workshops will discuss improving data collection and measurement, healthcare and homelessness, best practices to work with different populations experiencing homelessness, and creative solutions to meet housing and employment needs. Nan Roman, President and CEO of the National Alliance to End Homelessness, will be the keynote speaker at lunch, reflecting on national progress to end homelessness and the road ahead. Megan Gibbard, Director of a Way Home America, the national effort to end youth homelessness, will speak in the morning. CCEH’s 15th Annual Training Institute is made possible by the generous support of Synchrony Financial, Connecticut State Department of Housing, Liberty Bank Foundation, CaseWorthy, Inc., AVANGRID, Connecticut Department of Social Services, Chrysalis Center, Inc., Connecticut State Department of Veterans’ Affairs, Connecticut Department of Mental Health and Addiction Services, Nutmeg Consulting; Partnership for Strong Communities, Connecticut Housing Coalition, Corporation for Supportive Housing, Supportive Housing WORKS, Connecticut Coalition Against Domestic Violence, Homes with Hope, and The Connection, Inc.